Introducing the Wireless Traveler App! We are thrilled to announce our latest product offering from Wireless Traveler – the Wireless Traveler App. This WiFi calling app is designed to help you easily and inexpensively stay in touch all over the world using your own smart phone. It is available for both iPhones and Android phones. With the Wirelesstraveler App, you use your own smart phone and a unique U.S. number that you receive from Wireless Traveler. When you travel in over 200 countries and connect to a WiFi network, you’ll be able to make low-cost calls to the U.S. – for only two cents per minute! Friends and family back home can call you on your unique number as well and not incur any international calling charges. It syncs with your contact list and displays caller ID so you can easily return any missed calls. And, if you don’t have your phone connected to a WiFi network and you receive a call, not to worry, the app has voicemail. One of the best features of this app is that there is free app to app calling, meaning that you and your travel partners can call each other for free while you are traveling, each using the Wireless Traveler App. There aren’t any hidden charges to surprise you when you get back home. We’ve received positive reviews so far from people using our app. They like the ease of use, connectivity wherever they are, and the low rates. Betsy Donley, Travel Advisor from Camelback Odyssey Travel, used the Wirelesstraveler App on a recent trip to Malaysia. 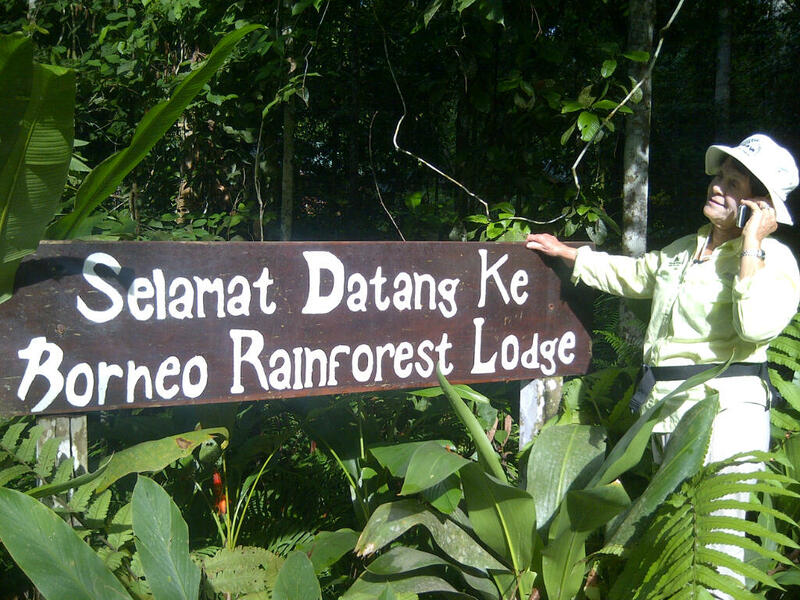 She was able to call home while staying at the remote Borneo Rainforest Lodge. Betsy was thrilled with the connectivity she had during her vacation. And, the Wireless Traveler App, as well as our Pocket WiFi Device, was recently endorsed by Virtuoso (the travel industry’s leading luxury network) in their July/August edition of Virtuoso Life. We’re so excited about our new app that we are offering it free of charge. You can download the Wirelesstraveler App from either iTunes or Google Play. A simple online activation gets you started. You can log on to your Wireless Traveler account at any time to add money as you need to cover your phone calls – a true pay as you go pricing plan.